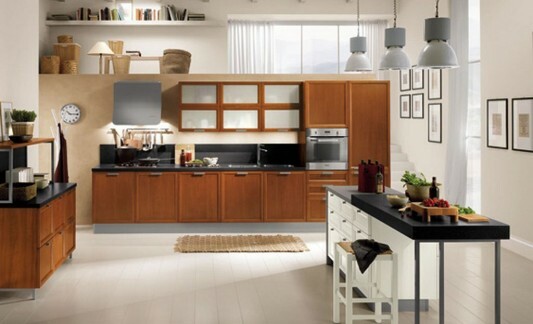 Contemporary kitchen doors framed in white oak veneer panels absolute SCAV 670. Absolute white oak effect framed glass door with a cloth SCAV 670. Framed in white oak door panels laminated with textured 670 SCAV absolute. Plan and hips square and the metal looks highlight the force structure project is also a backup tight pleasant sensation. Marked in this composition, laminate bamboo flooring and sides to compare White Oak door frame absolute, of the “fabric” is available for some decorative panels, and the effect on the fabric glass doors with wooden frame. 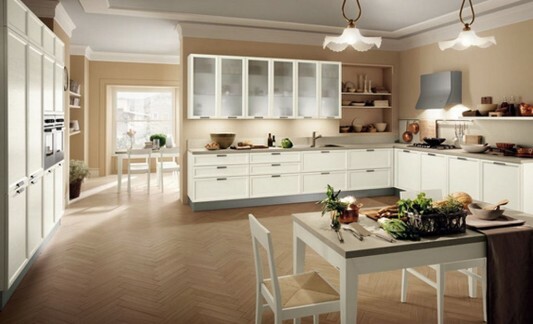 An idea kitchen design with a diversity of elements, which give the feel exciting and fresh, this traditional design kitchen and furniture set is collection of Scavolini. 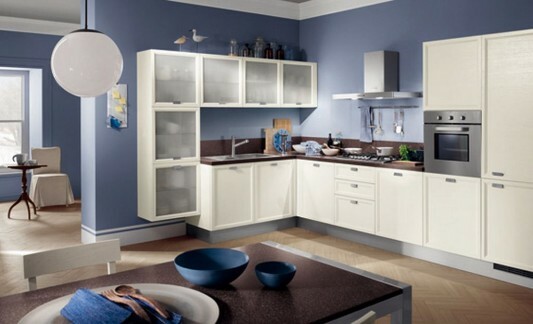 Fitted with a white wood panels with veneer finish is elegant, dynamic nuances that get modern kitchen and stylish design. 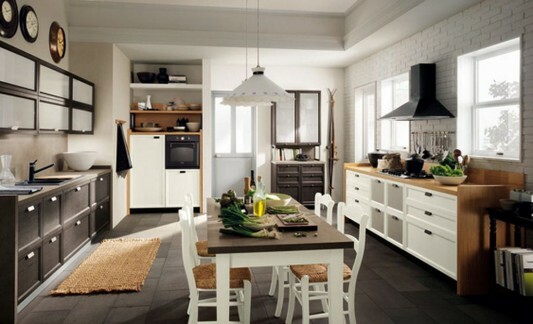 Different and complementary solutions in the same room with unique elements that make perfect functioning kitchen. Hip, plans and structures that determine different solutions (eg back or open space), freedom of expression, even in the presence of home furnishings. For items available at the finish, handles and knobs in metal. Door frame with dark oak veneer panels SCAV 636. Framed panel doors and white oak veneer absolute SCAV 670. Oak framed glass door with a cloth effect SCAV 636. 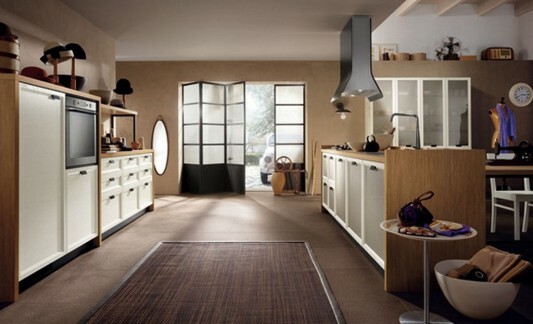 Oak wood and glass (with the effect of fabric) for the elements of this composition, which makes kitchen prestigious. It feels more classic but not conventional. Equipped with hips, and backs with laminate floors and metal frames capable of reproducing in the rack room, kitchen workshop is open to different solutions, all the fun and effective. 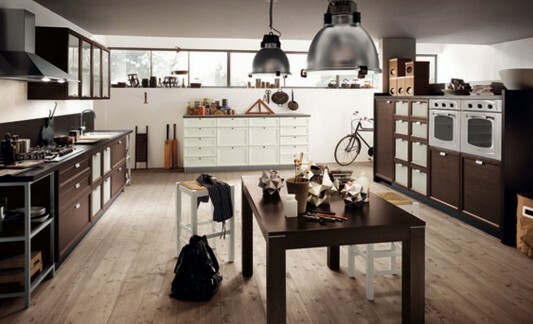 In line with the style of composition is also offered elements that connect the kitchen and living room: cabinet with four doors with wooden frame and glass Absolute White Oak with the effects of cloth, and container rack with two baskets in Red Oak, with a metal structure plane and back in black laminate. Framed in cherry veneer panel door SCAV 691. Cherry framed glass door with a cloth effect SCAV 691. Framed panel doors and white oak veneer absolute SCAV 670. Multiply the space to incorporate in a simple composition that includes columns and cabinets, hanging folders and “beliefs” storefront. The original design of the new metal hood and also design a breakfast bench: an Absolute White Oak with drawers and shelves, with Arenite Stone laminate top, from which to develop a snack (Quarz India Black) with his bench. Aluminum metal structure was painted gray. A composition with fabric Kaky effect laminate (thickness 4 cm) and metal frame painted gray. The back, in the same finish, has a height of 50 cm. 103 cm is proposed. the roof frame and glass effect fabric. Composition is equipped with a basket and drawer base. 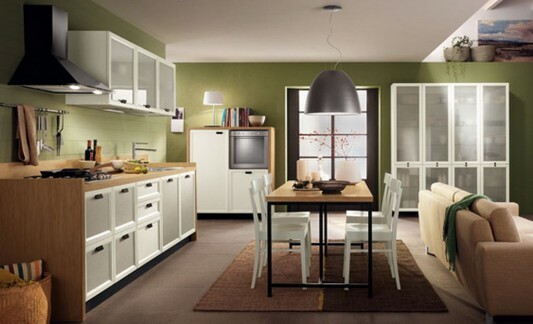 Completing all the various kinds of accessories are available Atelier be a big kitchen. Workarounds for the cooking area and sink area, with cupboard doors suspended three-story, 184 cm (glass door that apply to the network). Column oven on, the door handles in satin nickel metal, is positioned differently for easy opening wall and base units. Other details: the top and back in Quartz Basalt, matte finish. 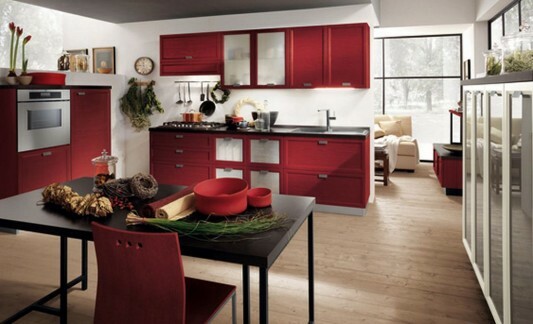 Visit Scavolini for more information.